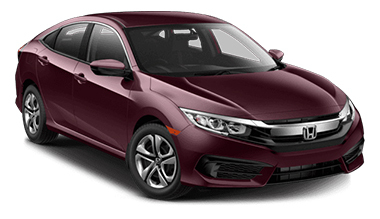 Criticized for an austere redesign of its Civic compact car a few years ago, Honda has responded with an all-new 2016 model that is entertaining to drive, has a premium feel and offers advanced active safety features. Honda is not messing around. 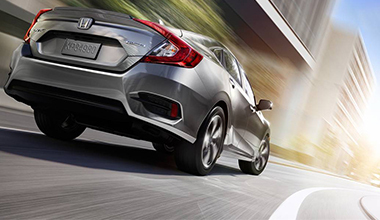 2016 is a new year, and for he Civic especially, the game has changed. With a new platform comes loads of new features that slingshot the 2016 sedan over its less-than-stellar predecessors. 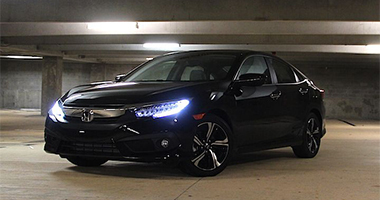 We were one of the first to drive the new Civic when it showed up in Detroit, but now with a bit more one-on-one time in Honda’s superstar sedan, we really learned to appreciate the quirks that make the new Civic a Civic. *4 door, CVT Automatic. MSRP: $20,275. 39 month closed end lease. $1500 trade or cash down. First payment $595 acq. fee taxes & DMV fees due at signing. 12000 miles/year. $0.15 overage. To qualified buyers through AHFC. Offer valid through 1/4/16. The last thing any driver needs is a vehicle that breaks down during our harsh Rochester winters. 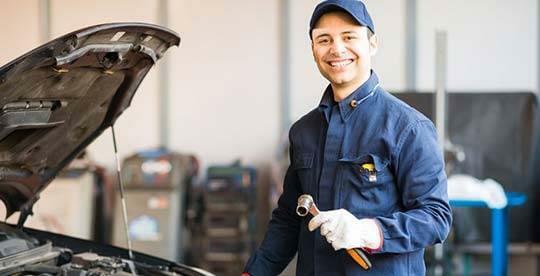 Winter magnifies any existing problems such as hard starts or no start problems, cooling problems, just to name a few. Stay safe and warm this winter. 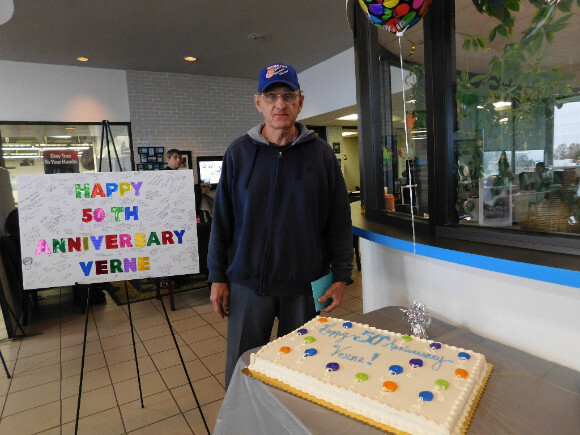 Happy 50th Anniversary Verne Hubright!!! 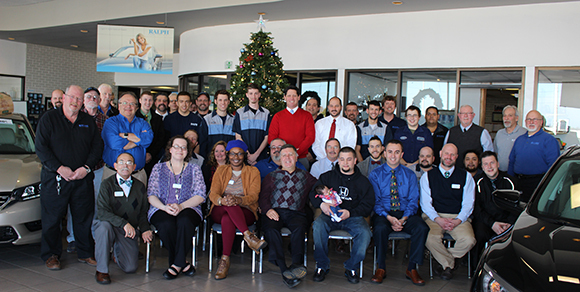 The Ralph’s had a surprise luncheon on December 1, 2015 to celebrate Laverne (Verne’s) 50th anniversary. 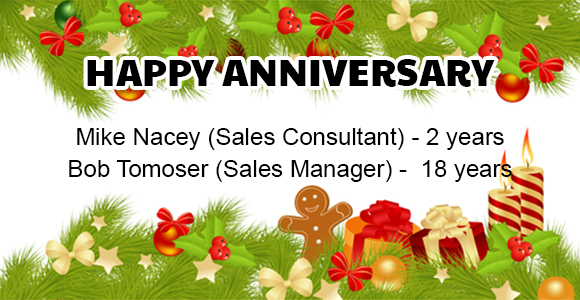 Not only did current Team members get to wish him a happy anniversary but many of his former co-workers stopped in to celebrate the occasion with him. Verne served 4 years in the Army. Once he was out of the military he was hired at Ralph Pontiac and he relocated here from Williamson.Verne has been married to his wife Dorothy for 52 years and they have two daughters Diana and Shelly. Verne is a dedicated team member who still works 50 hours each week. Verne loves hockey (well sports in general) but he has a season pass to the Amerks and can often be found at the games. 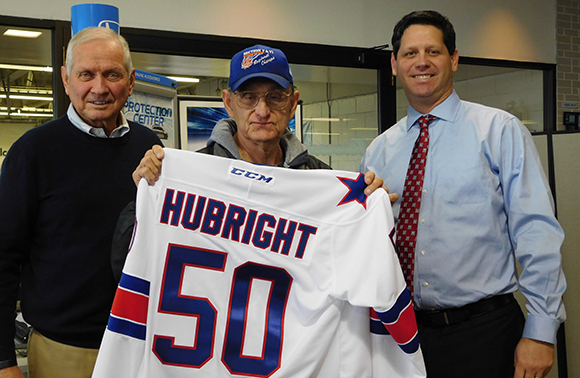 Mike Ralph and Steven Ralph presented Verne with a personalized Amerk’s jersey as well as box seats to an upcoming game in honor of his dedication. 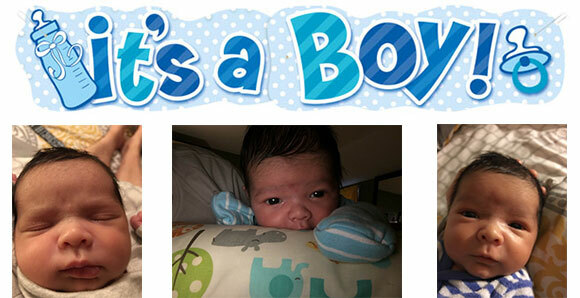 Congratulations to (Jersey) John (Technician) & Jessenia for the birth of their first child.